File photo of Ben Carson. Washington: Republican presidential hopeful Ben Carson said Sunday no Muslim should be president of the United States, adding a new twist to a controversy roiling the party's White House nominating race. In an interview with NBC's "Meet the Press," Carson, a retired brain surgeon who often refers to his own deep Christian faith, was asked whether a president's religion should matter. "I guess it depends on what that faith is. If it's inconsistent with the values and principles of America, then of course it should matter. But if it fits within the realm of America and consistent with the constitution, no problem," he said. Asked whether he believes Islam is consistent with the US constitution, he responded: "No, I don't. I do not." "I would not advocate that we put a Muslim in charge of this nation. I absolutely would not agree with that," he added. The issue abruptly surfaced in recent days when Republican frontrunner Donald Trump let pass unchallenged a questioner's assertion that US President Barack Obama was a Muslim. Trump later said he was not "morally obligated" to defend Obama against the man's unfounded claim, but his handling of the incident drew fire from Democratic frontrunner Hillary Clinton, the White House and some Republican rivals of the billionaire real estate mogul. 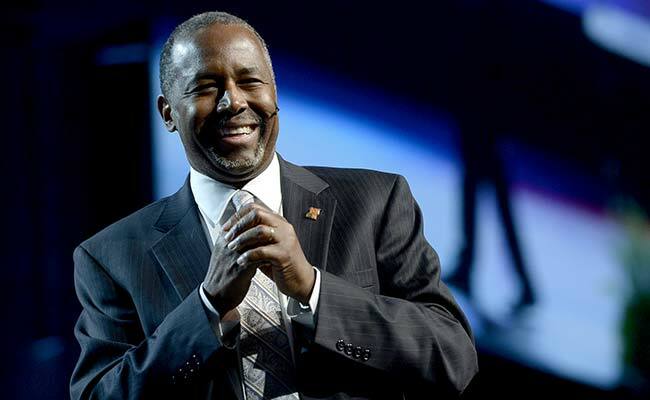 Carson, who slipped to third among Republican presidential contenders in opinion polls Sunday after running second to Trump for weeks, said he believed Obama was born in the United States and is a Christian.